Honda dealers promise to match any like-for-like quote for servicing, repairs, new tyres or MOTs from any garage within 10 miles. 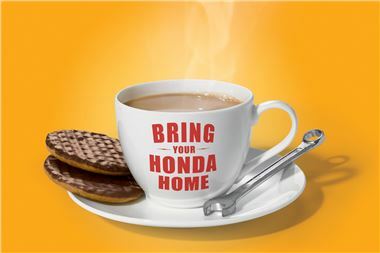 The ‘Honda Price Promise’ challenges the sometimes inaccurate perception that franchised dealers are more expensive than independent garages or national 'all make' servicing chains. Honda's Price Promise encourages Honda owners to bring their cars to the people who know Hondas best for all their repairs and servicing. All dealership technicians are expertly trained by Honda and only use guaranteed Honda genuine parts. All work includes free vehicle health check. The Honda Servicing Price Promise will run until 31 March 2013. To take Honda up on this offer, all Honda owners need to do is get a quote in writing from another garage and take it into their local Honda dealer. Visit www.honda.co.uk/pricepromise for full terms and conditions.